Ontario Faculty On Strike | How will it affect International Students? - Gateway to Canada | Canada Immigration Consultancy! Ontario Faculty On Strike | How will it affect International Students? The union representing full time and partial load faculty in Ontario’s 24 colleges, the Ontario Public Service Employees Union (OPSEU), is on strike since October 16, 2017 and it is unlikely to end soon. Classes are cancelled in the affected colleges. If you are an International Student in currently studying in one these colleges and if the strike will prolong, it may affect the period when you may be able to finish your program. As a consequence, you study permit may expire before you even finish the program. Is the student health plan still valid during the strike Yes, the health plan provided to Fanshawe international students through Morcare is still valid. What is a strike? Is this common in Canada?A strike happens when employees who are represented by unions refuse to work. This is a legal process which can only occur with proper notice and is governed by labour laws. When workers walk off the job they will form a picket line at the entrance of the employer's property in a show of solidarity to peacefully put pressure on the employer to negotiate working conditions and wages. Fanshawe will work with the union to establish picket line protocols to ensure the safety of students and staff. 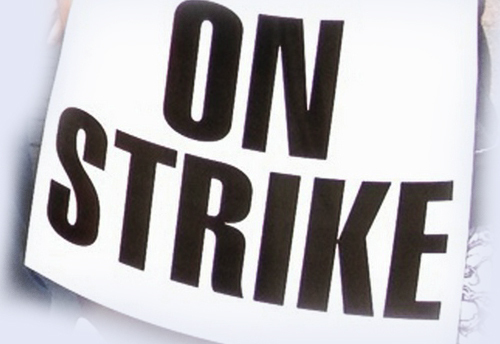 Strikes are peaceful and non-violent. Is this only happening at Fanshawe?No, the union represents full-time faculty members at all of the 24 Ontario community colleges. Read more at Fanshawe College website.